Just ask the staff at your online car dealer and they will likely tell you that industry experts have already done the research for you and isolated three compact cars that have proven most popular among consumer online searches for the 2015 model year. According to automotive authorities like Edmunds, three major automakers are enjoying bragging rights for having manufactured some of the most popular compact cars of 2015. There is the Civic from Honda, Mazda's Mazda3, and the long-favored Toyota Corolla. Those three were among the most popular compact cars searched for by consumers shopping for cars online. So, what makes these three cars the target of online research and consumer focus? Read on for a quick spotlight revealing the merits of each one with respect to performance, fuel economy, and safety - the three matrices most valued by compact car shoppers. In addition to those three values, each one of these three is wonderfully affordable, sparing you any potential sticker shock. Should you decide that one of these three compact cars is right for you, start the online car buying process and make your next auto purchase pain free. This competitive compact car, available as a coupe or sedan, has long been a popular choice among discerning consumers; however, for the 2015 model year, the Civic is especially celebrated for its ride quality and fuel efficiency. Offered in a considerable range of trims, including the LX, EX, EX-L, and EX-L Navi, the 2015 Honda Civic also comes in greener variations, including the Hybrid, HF, and Natural Gas models. Most Civics come equipped with a 1.8-liter four-cylinder engine capable of 143 horsepower and 129 lb.-ft. of torque, with fuel economy rated between 31 and 35 mpg combined, depending on the transmission setup. The HF, for example, represents the strong 35 mpg return, while the Natural Gas model offers an alternative to the 1.8-liter engine, which produces 110 horsepower and 106 lb.-ft. of torque, with fuel economy measured at 31 mpg combined. As a hybrid, the Civic collaborates with a 1.5-liter four-cylinder gasoline engine and a lithium-ion battery paired to an electric motor. This configuration produces 110 horsepower and 127 lb.-ft. of torque with fuel economy topping the rest of the line at 45 mpg combined. For those consumers who really love to drive, the Civic Si delivers. Outfitted with a 2.4-liter four-cylinder engine, the Si generates 205 horsepower and 174 lb.-ft. of torque, matched exclusively to a six-speed manual transmission. All 2015 Honda Civics received top marks from both the government and the Insurance Institute for Highway Safety (IIHS) when it came to crash testing and ultimate safety ratings. Priced to start at the MSRP of $18,920, the 2015 Honda Civic continues the tradition of providing safety and comfort while maintaining affordability. Another competitive entry in the compact class, the Mazda's 2015 Mazda3 is offered as a hatchback or a four-door sedan. Both share two principal trim levels, the 3i and 3s, which are further distinguished by sub-trims and options. A 2.0-liter four-cylinder engine equips all Mazda3i models, generating 155 horsepower and 150 lb.-ft. of torque, with front-wheel drive operated by the standard six-speed manual or the alternative six-speed automatic transmission. Outstanding fuel economy ratings are reported as 34 mpg combined from the sedan with automatic transmission, while the manual gets 33 mpg combined. The hatchback keeps pace with its sedan sibling, with Edmunds reporting a 39.4 mpg result following the 116-mile test. The automatic 3i sedan outpaces its same-segment rivals, with the zero to sixty mph time clocked at 8.3 seconds. When it comes to the Mazda3s line, expect a 2.5-liter four-cylinder engine, producing 184 horsepower and 185 lb.-ft. of torque, with the same transmission options as featured in the 3i trim. The sedan and hatchback, manually configured, share the same fuel economy, estimated at 29 mpg combined, with specific city/highway numbers slightly different at 25/37 and 26/35, respectively. Operation from the automatic transmission yields even better results at 32 mpg combined from the sedan, with the hatchback boasting 31 mpg combined. But the available i-ELOOP technology is able to redistribute braking in the 3s models, which increases the automatic's fuel efficiency to 33 mpg. The fact that the Mazda3 is arguably more fun to drive, thanks to its incredible handling and zippy acceleration, doesn't make it any less safe than other cars in its class. 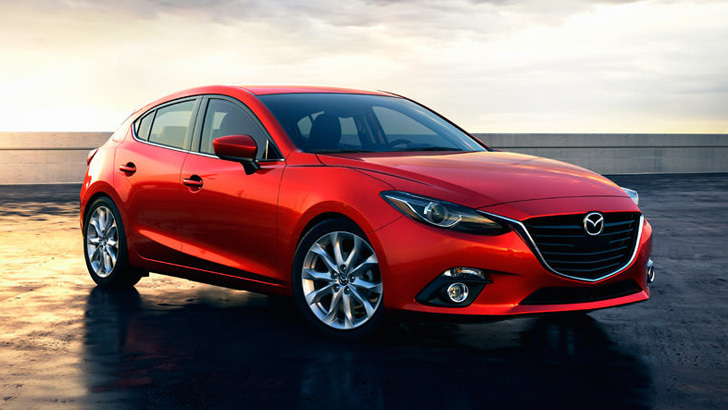 Both federal crash testing and the IIHS awarded the 2015 Mazda3 their highest safety ratings. Starting at the MSRP of $16,945, the Mazda3 is one of the most surprisingly affordable and delightful drives on the market today. First introduced in 1967, the Toyota Corolla has certainly withstood the test of time and remains a best-seller and, therefore, a routinely researched vehicle. After benefitting from a total makeover last year, the new Corolla features modest revisions, like a fold-down center armrest between the back seats and the Driver Convenience package automatically included on higher trim levels. Accommodating five passengers in any of its four primary trims, the L, LE, LE Eco, and S, (further defined by Plus and Premium sub-trims), Toyota's Corolla is a trusted favorite among sedan shoppers. Across the board, the 2015 Corolla is powered by a 1.8-liter four-cylinder engine, with the amount of muscle dependent on specific trim level. For example, the extra-efficient LE Eco returns 140 horsepower and 126 lb.-ft. of torque, while all other Corollas are backed by 132 horses and 128 lb.-ft. of torque. As the entry-level Corolla, the L is operated by a six-speed manual transmission, with a four-speed automatic available as an alternative. 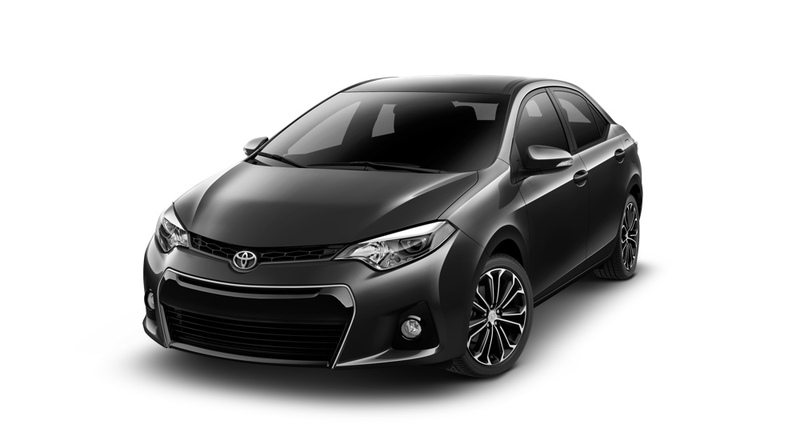 All other Corollas are configured with a continuously variable transmission (CVT). As always, fuel economy is contingent upon trim level and powertrain setup. If you opt for the four-speed automatic, you'll enjoy fuel efficiency of 31 mpg combined, or 27 city and 36 highway, with the six-speed manual jumping up one to 28/37 mpg. Paired with the CVT, the Corolla LE gets 29/38 or 32 mpg combined, with the S returning 29/37 and the same combined 32 mpg. Not surprisingly, the LE Eco boasts the best ratings of 30/42 or 35 mpg combined with the standard equipment and 30/40 or 34 mpg combined if you prefer either of the Plus or Premium sub-trim offers. Speaking of trims, the new for 2015 Driver Convenience package is available on top trims and affords drivers perks like keyless entry and ignition, sunroof, a roof-mounted (versus in-glass) antenna, navigation system, HD radio, satellite radio, and Toyota's Entune App Suite, which integrates phone applications with the Corolla’s infotainment system. In keeping with the trend set by our two other featured vehicles, the 2015 Toyota Corolla is a safe bet with outstanding results from government crash testing and the IIHS. While not as peppy as the Mazda3 series, the current Corolla is a reliable ride for daily commuting. This car doesn't need bells and whistles to support its reputation for dependability. Compared to its competitors, the Corolla is no frills and no nonsense, as reflected by its initial price of $16,950. There is an abundance of affordable capable compact cars available courtesy of your online car dealer. Do your research, consider the option that's best for you, and let your online dealership help you get behind the wheel of one of 2015's most popular compact cars.